Snow White and the Huntsman – A Modernized Fairytale! As its name ‘Snow White and the Huntsman’ suggests, the film depicts a bit twisted story from the classic fairytale by the Brothers Grimm ‘Snow White and the Seven Dwarfs’. 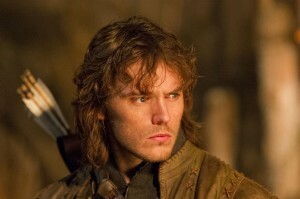 The huntsman, who is primarily sent to arrest the princess, takes up a good man’s role, to fight with her. However, the seven dwarfs do exist in the film, but not to suit their old image in your mind, which is of a fairytale and are more suitable to a crime-based movie. The wicked stepmother of Snow White too plays rather a victimized woman of male-dominated world who wants to take revenge and so her wrath turns to other women who can compete with her beauty. It is not just a stepmother-stepdaughter relation’s vice, but an all-embracing ambition to rule a kingdom. 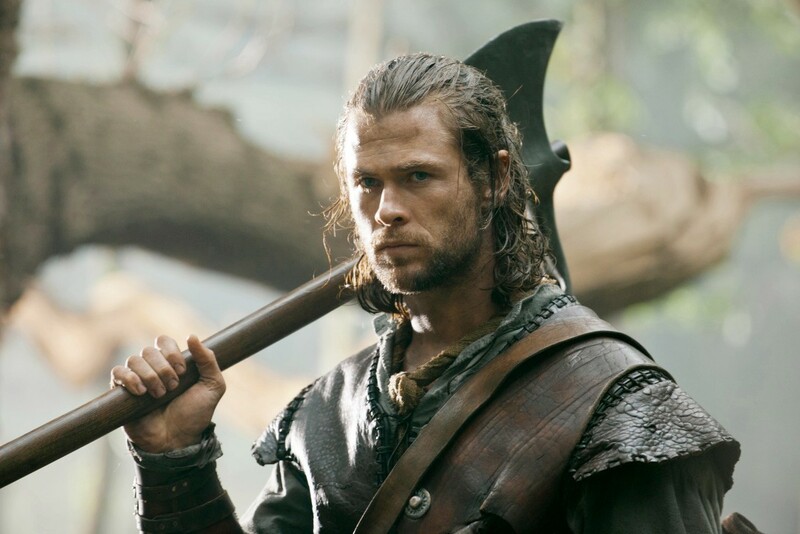 Moreover, there are two leading males, one is of course, the huntsman, and the other is Snow’s childhood friend and son of a nobleman, who is one of the remaining few loyal nobles of Snow’s father, the late king. And Snow White is not the old, delicate, shy, goodie-goodie homely princess, waiting for her prince charming to come and rescue her, but in an altogether new avatar, who fights and finally kills her stepmother to get her father’s kingdom back and in the task, she gets help from the huntsman! And above all, the vamp is more impressive than the leading lady! Although, Kristin Stewart has performed excellently in the role of the deprived princess, Charlize Theron in her wicked stepmother, Ravenna’s role may earn an Oscar for her performance. Snow White (Kristin Stewart) is jailed by her stepmother (Charlize Theron) after murdering her father, right on their wedding night, in a hell-like chamber in a tower of the castle from where the princess manages to escape to a jungle and meets the seven dwarfs who are first afraid of her, but after knowing that she is the daughter of the king, who loved them, they befriend her and take care of her. The evil queen, and stepmother of Snow White, Ravenna, who is in the habit of pulling the hearts out of birds with her fingernails and horrifying her subjects, is assisted faithfully in her evil works by her brother Finn (Sam Spruell) who is just her copy, but is ugly-looking. 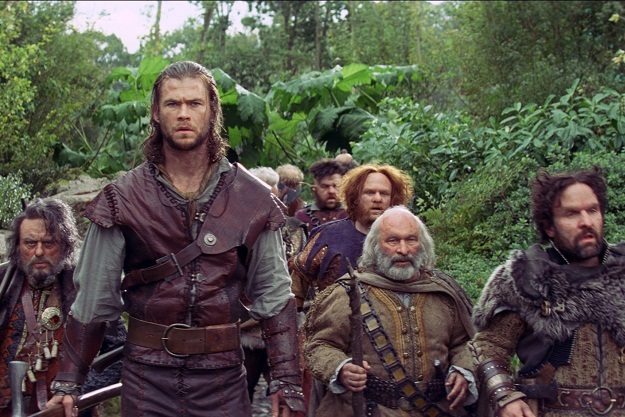 The queen, threatened just by the princess’s beauty and confirmation of being alive by her magical mirror, sends a huntsman (Chris Hemsworth), who is a widower and a drunkard, to catch hold of the princess. 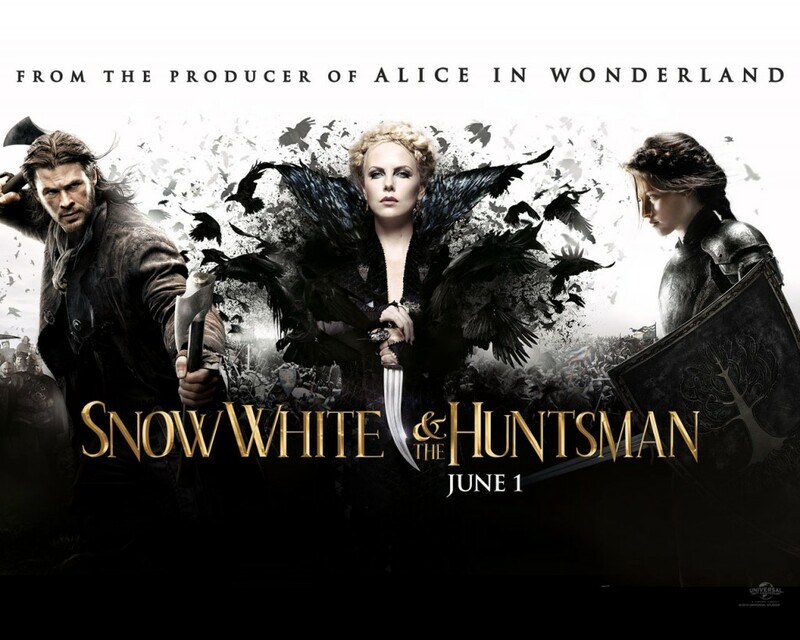 The huntsman is not a lover of Snow White, but a fatherly character or her protector. He supports Snow White till the end when she embarks upon a war with the wicked queen and at last, kills her. The handsome son of king’s loyal nobleman and Snow White’s childhood friend is named William (Sam Claffin) who is a talented archer, but his role is cleanly overshadowed by the other male, the huntsman! Both are unshaven dudes and divide the audience into two groups admiring either of them mentally, one being smaller than the other! Kristin Stewart looks lovely with perfect fair skin, dark black hair and rosy lips, but though Charlize Theron is ferocious, her splendid performance captivates the audience, which is further enhanced by marvelous costumes and special effects. 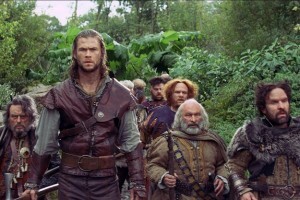 Thus if you watch the movie with a modern point of view, Snow White and the Huntsman is a wonderful blend of beauty, action, magic, emotions and all the Hollywood extravaganza, but it is not the perfect remake of the original Brothers Grimm’s fairytale, which can, of course be its scoring point!